Here is a photo of Violet Dene Wilson, who married Adrian Parker “A.P.” Davis. My mother, Virginia Dare Sumerell, and Violet Dene Wilson were best friends when they were children. 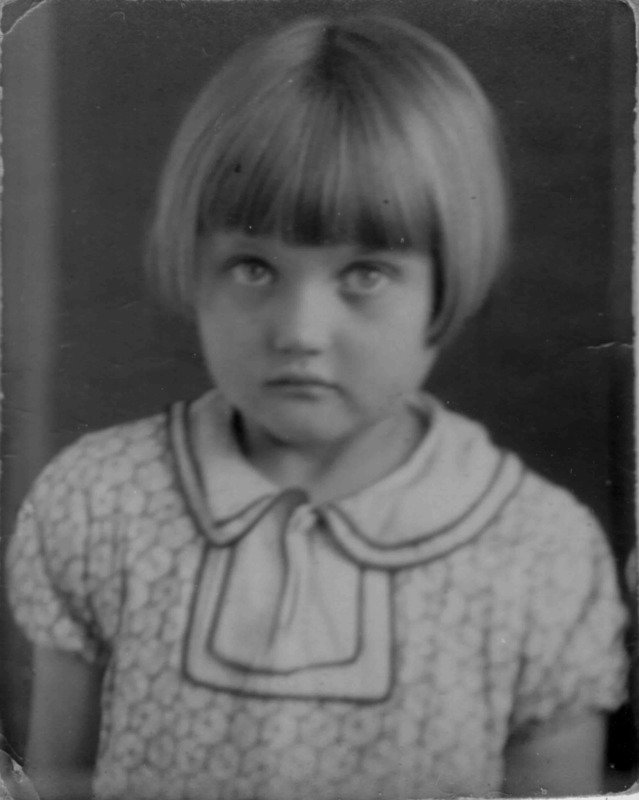 Violet Dene was the daughter of Raymond Frederick Wilson and Roberta Sutton. Many years later, in the late 1940s or very early 1950s, Violet Dene and A.P. moved to Jamestown, NY to find work, as there were no good-paying jobs in New Bern at the time. Soon after, my mother and some of her relatives moved there also. My mother and father were dating at the time, so he moved up there too. My mother and her female relatives worked at a table factory. My father and my mother’s male relatives worked at Art Metal Company, which was a factory that made metal office furnishings, such as desks and filing cabinets. My parents got married in Jamestown, NY in 1952. They moved back to New Bern before I was born in 1953. Later, Violet Dene and A.P. moved back to New Bern. A.P. started working for the State Highway Commission (now N.C.D.O.T. ), and a couple of years later, my father also went to work there. Sometime in the 1990s, Violet Dene and A.P. bought a house just a couple of doors from our house. My wife and I lived on Colonial Place, and they lived on Elmwood Street. They lived there until they died, A.P. in 2001 and Violet Dene in 2013. Violet Dene’s sister, Grace, married Zeb Allen Hawkins, who was the uncle of Cindy Hawkins, one of my classmates at Brinson Memorial School.